Only the bugs will be disappointed! 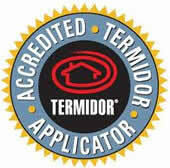 Why wait any longer to have a pest free home! We at CITY METRO PEST MANAGEMENT are a fully licensed Pest Control Company with many years of practical experience in the field of Pest Management. Within a short period our company has grown into one of Western Australia’s most professional pest control providers. Choosing a reputable Pest control can be a difficult task. City Metro Pest Management prides itself in providing the quality service you are looking for. Of course we first investigate to which type of pest control you as the customer’s need. We will provide in-depth report, so you can make a well based decision in choosing the best service for the right job.